iBeani bean bag stands are fully compatible with all iPad, tablet, Kindle and eReader devices that are currently on the market. iBeani bean bag stands are fully compatible with all iPad, tablet, Kindle and eReader devices that are currently on the market, as well as being easy to clean (spot cleaning recommended) so you never have to worry about them getting dirty. 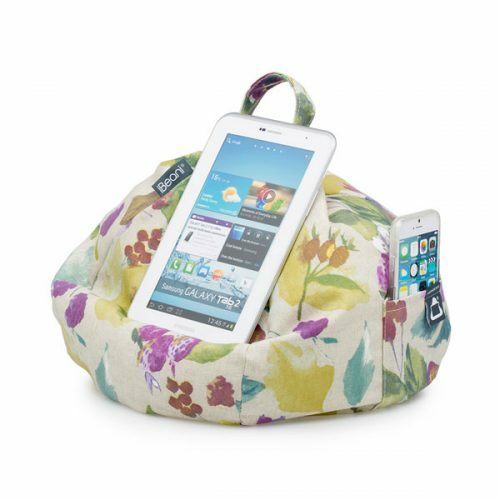 The unique bean bag design means that the iBeani tablet stand can a stable platform for your device on almost any surface. 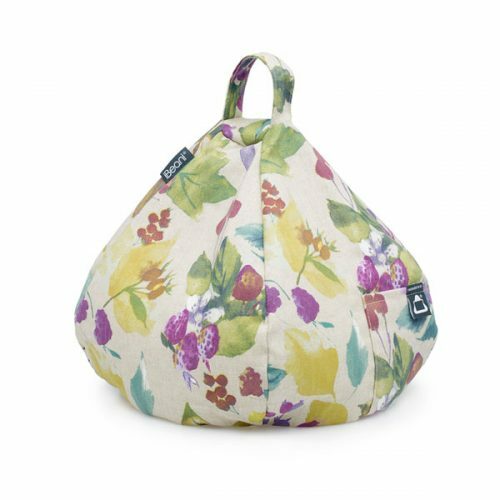 Use the Floral Plum iBeani in bed to watch movies, in the kitchen to read recipes or on the garden swing during a glorious summers day. The Floral Plum bean bag tablet stand can even double up as a handy travel pillow – perfect for a quick siesta! 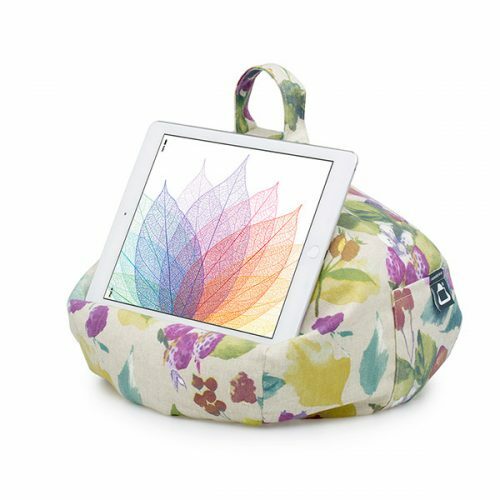 Tablet users who suffer from RSI, iPad Shoulder or joint pain will also appreciate the iBeani design as by supporting your tablet device it reduces the stress and strain on your arm and shoulder joints.